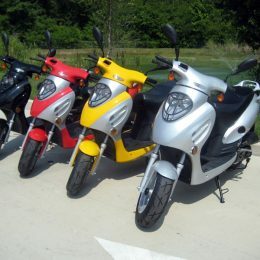 This gas Go-Ped is available for shipping from Saint Louis, MO. 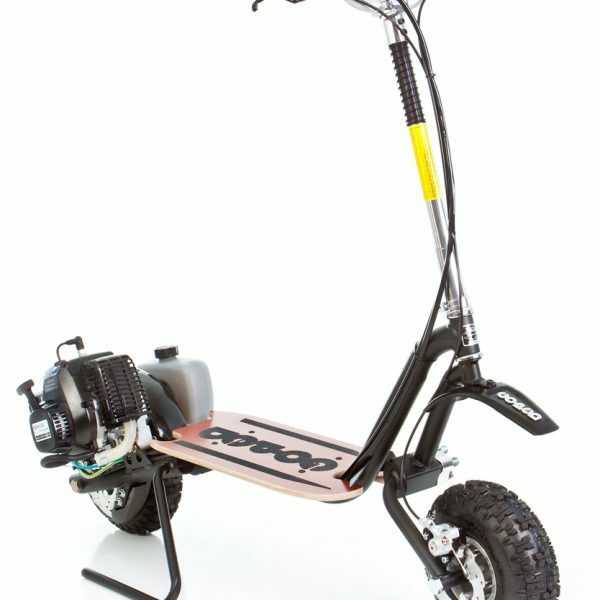 Go-Ped Trail Ripper 46 Gas Scooter weighs only 46 pounds and puts its 4 HP to the ground through a simple, unique and tunable patent pending suspension system. 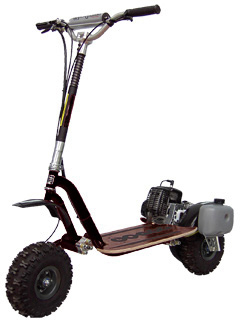 Previously other off-brand scooters have been introduced with traditional shocks. 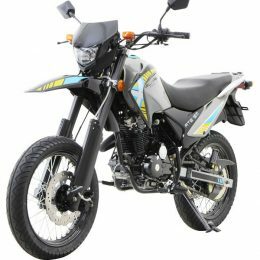 However, weight, complexity, reliability, short 1-3” travel and rider standing room problems have prevented these types of vehicles from reaching true off-road success. 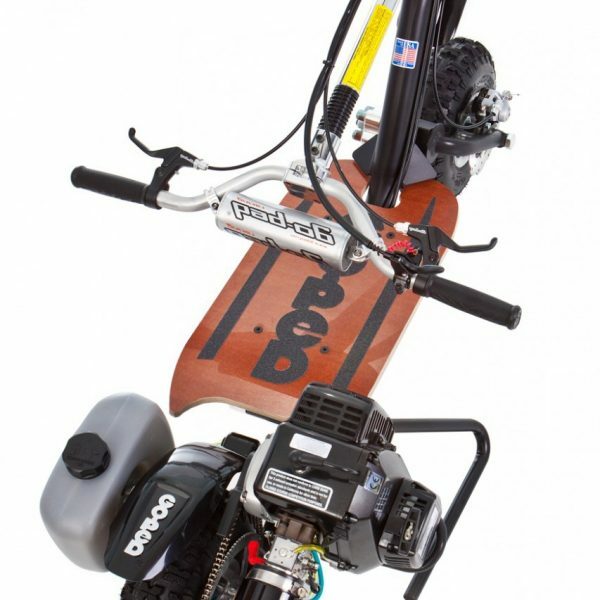 The Go-Ped® Trail Ripper 46 now breaks this paradigm and follows traditional dirt bike suspension travel specifications of “half the wheel diameter”. 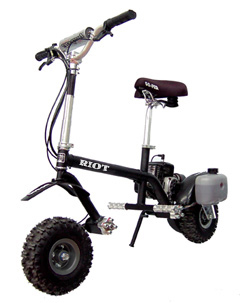 The front and rear tires are 4 X 11 inch knobbies , and the C.I.D.L.I. 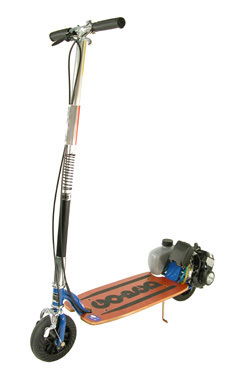 suspension travel approaches an unprecedented 6 inches on each end. 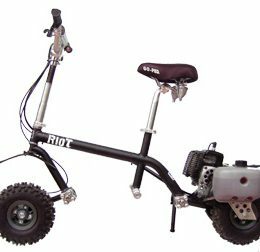 Its Chromoly single tube frame, reinforced aircraft grade 6061-T6 folding handlebar system with Tim Patmont bend bars (like on the TSi) contribute to making the Go-Ped® Trail Ripper 46 a very light weight device. Combined with its truly revolutionary C.I.D.L.I. 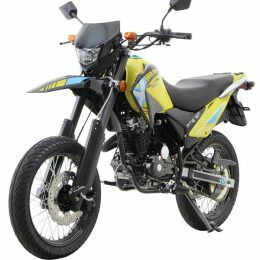 suspension, it is not only very practical but creates a new way to have a high level of safe off road low cost FUN. Much than happy with the new product I’ve bought two weeks ago. Run smoothly, made of quality materials and looks just as in pictures! Thanks guys for fast answers and help to sort out what to choose! 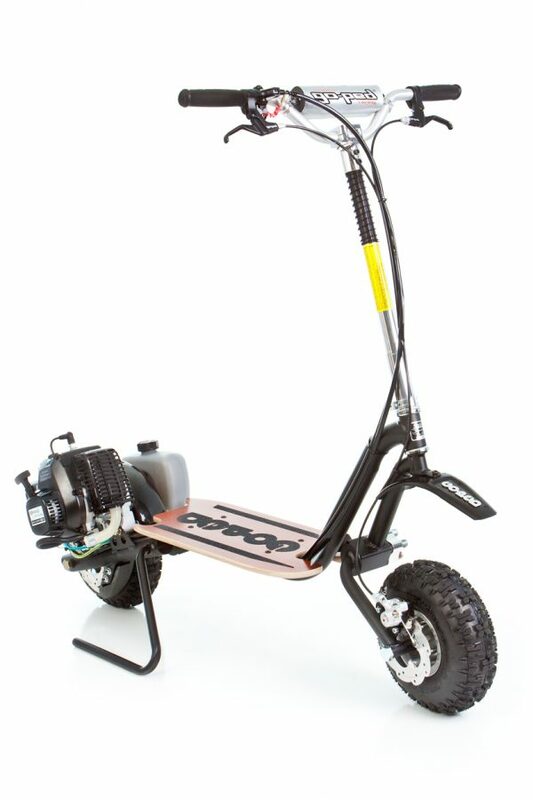 Cool off-road scooter! 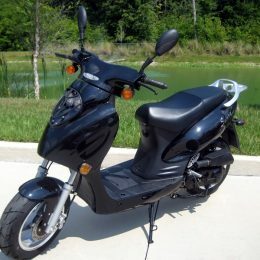 I use to ride with my friends in the neighborhood every weekend but the old vehicle got broken and i had to buy a new one. I’ve searched for it few days . 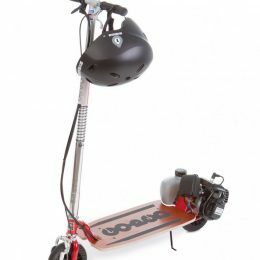 Free shipping is what caught me get it from this website, and yes, they had it available in their warehouse an shipped very fast.